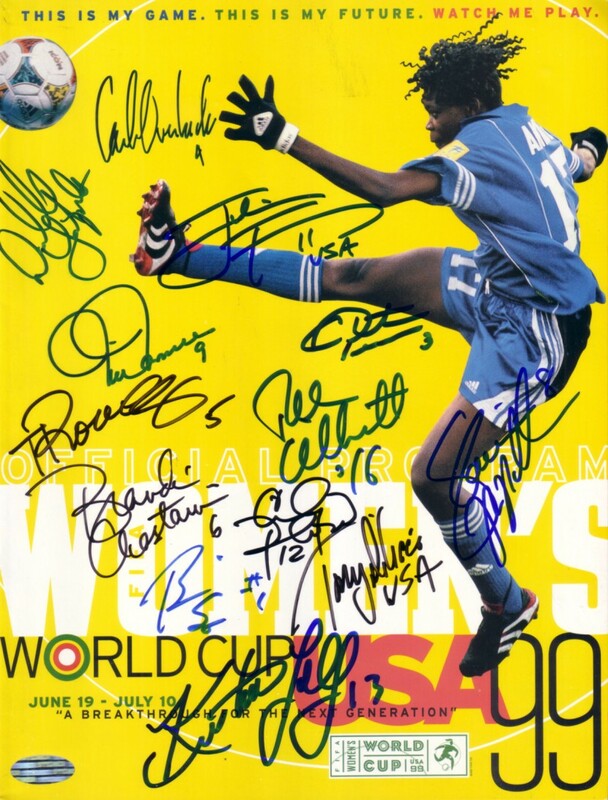 Complete original 1999 FIFA Women's World Cup soccer program autographed in black or blue marker on the cover by 1999 U.S. Women's World Cup Team coach Tony DiCicco plus 12 key members of the team including Mia Hamm, Tiffany Roberts, Cindy Parlow, Shannon MacMillan, Danielle Fotopoulos, Julie Foudy, Kristine Lilly, Carla Overbeck, Briana Scurry, Brandi Chastain, Christie (Pearce) Rampone and Tiffeny Milbrett for a total of 13 signatures. 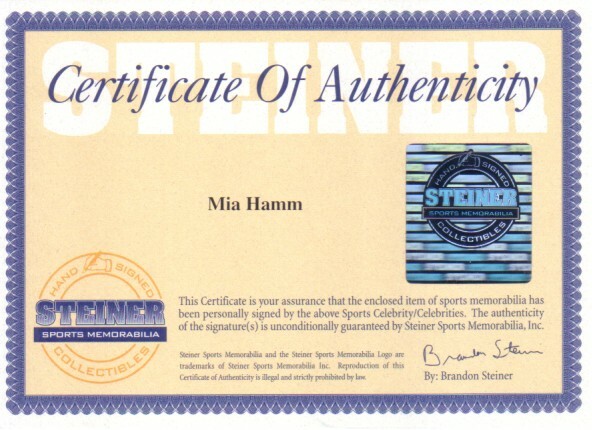 Mia Hamm's autograph is authenticated by Steiner Sports with their holograms on the program and certificate of authenticity. 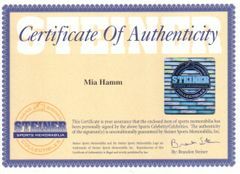 A certificate of authenticity from AutographsForSale.com is also included. Has very minor wear. THESE GIRLS ARE ALL NOW RETIRED FROM INTERNATIONAL COMPETITION AND RARELY MAKE PUBLIC APPEARANCES. ONLY ONE AVAILABLE FOR SALE.